Please scroll down and read entire page. Selling a property? In today's internet age you do not have to pay a King's ransom to get top dollar for your property. It is a seller's market. 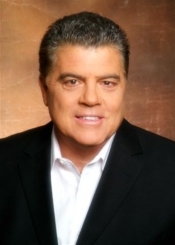 My name is Joe Tenerelli and I have been the broker owner for Flintridge Realty for over 4 decades and have closed over $500,000,000 in Real Estate transactions. I have marketed properties ranging from large multi-million dollar estates and oceanfronts to single family residences and townhomes. My company is not a franchise or a multi office operation, we have one office, which is all that is needed in todays internet age. Did you know that over 90% of clients looking to purchase a property use the internet to search! In todays marketplace paying a Realtor 5% or 6% of your property sales price is not the normal any more. We have no sales managers, franchise owners or stockholders to please and pay! Highly qualified and professional agents only. No luxury automobiles or opulent offices, just highly knowledgeable and hard working agents. Why pay an enormous commission to market your property when it is instantly sold with multiple offers over the asking price? The internet has changed everything. When your property information is entered into the Multiple Listing Service (MLS) , it is automatically linked to all the major Real Estate sites, Zillow, Realtor.com, Homeseekers, Trulia and many more, for people around the world to search. If you are thinking about doing a "short sale", give me a call, I'm short sale certified and can guide you through the process. Due to the lack of new construction and available land to build their is a definite shortage and high demand of properties in Southern California . Multiple offers are the norm these days. We never charge any upfront costs or processing fees and if your property does not close escrow you pay zero. "Most of my listings receive multiple offers and close for over the asking price. References available upon request"
* Thoroughly inspect your home and outline all the important features and upgrades. * Determine the Fair Market Value of your property by doing a detailed written market analysis. * Provide an estimate of the selling expenses to show your net proceeds. * Execute a listing agreement authorizing us to market your property. * Recommend repairs and improvements to sell your property for the highest price. * Suggest additional enhancements based on buyer feedback. * Professional digital photos of your property for the MLS and internet website. * Display your home to agents by hosting a broker caravan. * Create a custom color photo brochure outlining the key property features. * Install a for sale sign on your property to generate buyer calls. * Feature your home on the Internet including (REALTOR.COM, LATIMES.COM , HOMESEEKERS.COM, ZILLOW.COM) plus many others. * Send you a printed copy and a link to the MLS presentation for your approval. * Visit your home weekly to check on showings and refill brochures. * Call or meet with you weekly to report on activity and review market conditions. * Constantly review our marketing strategy and adjust as needed to get your home sold. * Carefully review and present all offers for your consideration. * Qualify the prospective buyers to be sure they are able to purchase your property. * Prepare a strong counter offer to create a solid transaction that will close on time with no suprises. * Determine an adequate purchase deposit to solidify the transaction. * Negotiate closing fees to minimize and eliminate " Junk Fees". * Manage all the details of your real estate transaction. * Open escrow and review the the escrow instructions and fees. * Arrange for the property, termite and other inspections. * Supervise any agreed upon home repairs. * Assist with all disclosures, including the seller's TDS, supplemental disclosures, smoke detectors, water heater and environmental hazard disclosure. * Oversee the loan approval process to be sure your transaction closes on time. * Coordinate and supervise the appraisal process to ensure the proper value. * Order the preliminary title report and review the conditions of title. * Stay on top of all matters to be sure your real estate transaction closes on time and is hassle free. * Arrange for your net proceeds to be wired into your account. * Review the final closing statement for accuracy. * Give you a copy of all your real estate transaction documents. * The Friendly Plan IS CONDITIONAL AND NOT AVAILABLE ON SHORT SALES, PAYABLE AT THE CLOSE OF ESCROW. PROPERTY VALUES ABOVE $500,000 ARE LISTED AT A NEGOTIATED REDUCED RATE. THE FRIENDLY PLAN IS FOR EXISTING CLIENTS WHO HAVE DONE MUTLIPLE TRANSACTIONS. ** REBATE IS AVAILABLE ONLY TO BUYERS WHO FIND PROPERTY AND CLOSE ESCROW WITH JOSEPH TENERELLI D.B.A. FLINTRIDGE REALTY ACTING AS THEIR SOLE AND EXCLUSIVE AGENT IN THE PURCHASE OF REAL ESTATE. ALL OFFERS, REBATES AND REFERRAL FEES SUBJECT TO CONDITIONS, LIMITATIONS, EXCLUSIONS, AND OR MODIFICATIONS.OFFERS CANNOT BE COMBINED. OFFERS NOT AVAILABLE FOR SHORT SALES AND FORECLOSED PROPERTIES. REBATES NOT AVAILABLE ON PROPERTIES LISTED BY FLINTRIDGE REALTY. IF YOUR PROPERTY IS CURRENTLY UNDER CONTRACT PLEASE DISREGARD THIS INFORMATION. WE ARE NOT SOLICITATING PROPERTIES UNDER CONTRACT.